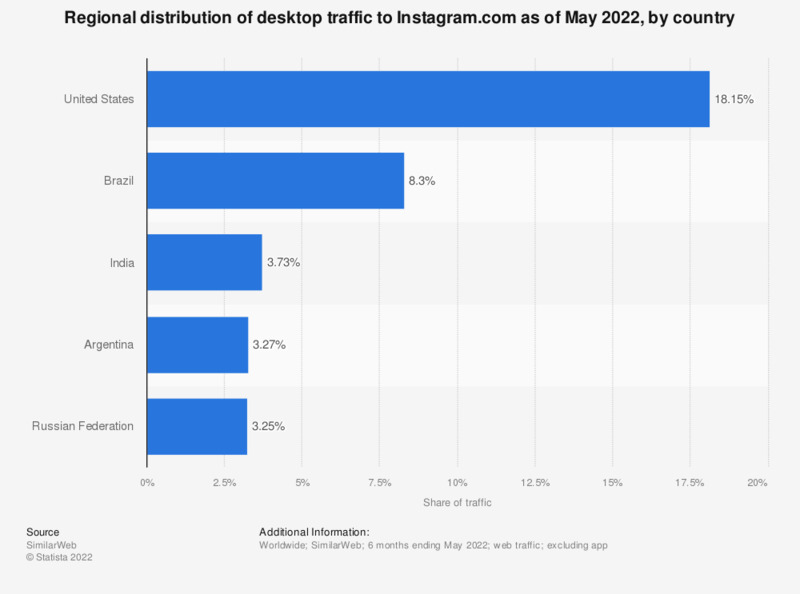 This statistic represents the regional distribution of Instagram.com traffic in the last three months. As of January 2019, the United States generated 15.66 percent of website traffic, while traffic from the United Kingdom accounted for 3.87 percent of site visits. Instagram is one of the most popular social networks in the United States with a 31 percent membership reach among online adults in the United States. During a February 2017 survey, it was found that 88 percent of adults in the United States were aware of the photo sharing app. The person with the highest Instagram follower count was football player Cristiano Ronaldo.